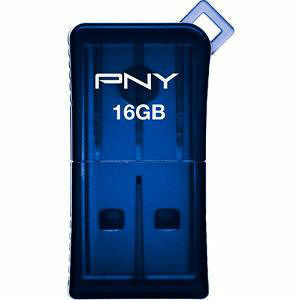 The PNY Micro Sleek Attaché USB 2.0 is the ultimate in mobile storage. It offers a sleek, miniature, low-profile design in a variety of fun colors. The included key fob is perfect to attach to key chains and backpacks so important files are never out of reach. Available in a multi-pack of 3 for 8GB capacity, as well as a single pack and multi-pack of 2 for 16GB capacity for the best value.